One of the most challenging functions of the SEO world is link building. 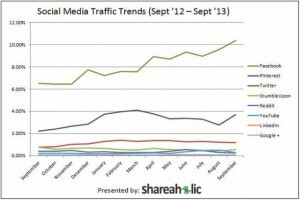 Thankfully, there’s Pinterest, the breakout network of 2012 according to CNN. And according to Mashable, Pinterest drove 3.68 percent of traffic to publishers last September, the second highest of the social networks on the list and three times as much as Twitter, which ranked third. 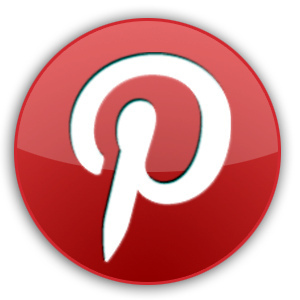 In fact, Pinterest’s share of overall visits increased by 66 percent year-over-year, more than any other social network. Pinterest now drives more traffic to publishers than Twitter, LinkedIn, Reddit and Google+ combined. What is Pinterest and Why Should I Use It? Pinterest is a nifty website that allows you to save things you like on a pin board. It’s similar to having a digital bulletin board on your computer. Some of the recent and most common uses for Pinterest have been home decoration and recipe collection, according to the Real Estate Marketing Blog. How Can I Use it to Market my Real Estate Business? It’s simple. Create an account; throw up some pins that spike your interest; advertise your new pin board on your website (that should be teeming with relevant, fresh and consistent content); or other social media sites like Twitter or Google+; and then connect with your clients who are already using the dynamic social media site. It’s easy and fun. You’ll be a pro in no time. Don’t forget to re-pin other users’ photos too. It just takes a second and it’s a great way to build relationships and get recognized. 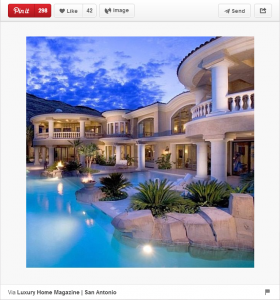 And Most Importantly…Pin the very best pictures of your listings! If you have any questions please do not hesitate to ask us about it in the comment section below.